As a resourceful and dependable Nanny Agency in Fairfax County, VA, we can help with all of your exact specifications for childcare! Helen has been caring for children for over 10 years as a Nanny Agency in Fairfax County VA and has cared for them with dedication and passion for their well-being. "If I was asked to describe in one sentence the reason I have chosen to be in the Nanny profession over any other it would have to be because the bond that forms between myself and the children is something that you cannot form in any other type of profession. I have been serving in some form of childcare experience for over 10 years and can honestly say I am passionate about what I do! I feel the children are my greatest passion. Each and every child is different and has a different personality and I love getting to know each one. Children are very silly and funny and always make my day brighter. My goal as a Nanny Agency in Fairfax County, VA is to make sure the children get as much love and care as they would if it were their own parents watching them. I want the children to grow and learn new things and experience new things each day. I am a very hands-on Nanny and know the importance of having the children experience all types of new things to stimulate them. I want the children to look forward to seeing me as much as I look forward to seeing them. I would hope that once I was no longer needed there was a bond between the children and I and the family and I that would make us life long friends. I am willing to do housekeeping that includes children’s laundry, meal prep for children, and tidying children’s rooms. If I had to describe myself in five adjectives I would say that I am warm-hearted, reliable, affectionate, dedicated and passionate." "Helen has cared for our two children in our home for well over two years. Our children are currently three years old and five months old and absolutely adore her. She is always on time, and communicates well with me in regard to setting up time for her to come over and care for my children. It is important that a childcare provider is trustworthy and understands the developmental needs young children have, and I feel confident that Helen has these qualities! My children are always happy and healthy when I arrive home, and love telling me all of the wonderful crafts and new things they created. I recommend Helen without a doubt! She is truly remarkable." "Helen is bright, reliable, patient, and affectionate! She is also well versed in child development, both due to her education and natural affinity toward children. She relates to my son in such a delightful way, turning practically everything into a fun game! Helen knows how to structure time well, but is also flexible when needed, which helps me a great deal. She is as comfortable helping my son through a preschool workbook as she is creating art projects out of sticks and leaves! I feel fortunate to have had Helen as his caretaker. I feel that my son owes much of his positive development to her presence. Her approach to caring for my son complements my parenting well, as she respects my personal philosophies while being confident enough to independently make day to day decisions regarding my son. I highly recommend her to this leading Nanny Agency in Fairfax County, VA."
"While my daughter was in Helen’s care, I could tell there was a genuine connection between them. I knew that my daughter was well taken care of, learning new things every day, and was in an environment of structure and love! At any point, I could approach Helen about my daughter’s daily progress. She always found the time to speak with me and discuss her day, wellbeing, and achievements (no matter how big or small!). Even though we employed Helen for a little over a year, I could definitely tell that Helen cared deeply for our daughter! 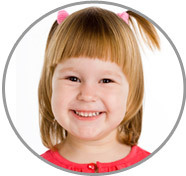 It is extremely evident that Helen enjoys working with children, and would be a great addition to any family! She was, and always will be, a large part of our family." "Helen is a very responsible and dependable person! My youngest son has epilepsy, and it is very difficult for my husband and I to leave him with just anyone. Helen proved to us that she was not only fully capable of caring for him, and she knew what to do if he ever had a seizure in our home, but also maintained a great report and trusting relationship with him. He adores her even to this day! She was very willing to learn the emergency medication administration techniques when he was first diagnosed, and I must say that she is one of the few people I can trust caring for him! I highly recommend Helen. She is wonderful with my boys, and they love her! This leading Nanny Agency in Fairfax County, VA would be lucky to represent someone as dedicated and qualified as she."